How Many Calories Are There in Dal & Does It Have Any Health Benefits? Preparations made from Toor Dal are part of traditional Indian recipes which is often served with roti and rice. Dal Tadka is a popular Indian cuisine where cooked dal is tempered in various fried spices, herbs and hot ghee which have their own taste and smell. Dal Tadka adds flavor to the food while the spices and herbs used in Dal Tadka have healing properties. Cumin is excellent for digestion and it also gives the food a mouth-watering taste. Tadka increases the nutrient value of the food. Phytonutrients present in spices and herbs are essential for our body as they contain medicinal values. Dal fry and Dal Tadka are not only delicious but also have several health benefits. Folic acid present in Toor dal is extremely important for fetal development. Folic acid curbs brain and spinal cord defects. Toor dal falls in both protein and vegetable subgroups because it is a good source of plant protein, nutrients, and fiber. Nutritionally, Toor dal is similar to meat, poultry, and fish, though it is a low-cholesterol and low-fat alternative. 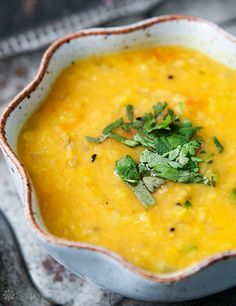 Toor dal is a great source of complex carbohydrates. The body breaks down the complex carbohydrates into glucose or blood sugar which provides energy to the brain, body and nervous system. Complex carbohydrates are recommended over simple carbohydrates due to their high nutritional value. The dietary fiber helps to prevent constipation by promoting normal bowel movement. Regular consumption of legumes can lead to a lower risk of heart disease, stroke, cancers, and type II diabetes. Previous articleHow Many Calories Are There in Palak & Does It Have Any Health Benefits? Next articleHow Many Calories Are There in Dahi & Does It Have Any Health Benefits?